Last week I shared a fictional story about an entrepreneur on the Titanic and how, despite the overwhelming success this businesswoman was having, when the mega-ship struck the iceberg, her wildly profitable business meant very little as the ship succumbed to its watery fate. Sadly, hundreds of lives were lost as the ship’s captain failed to heed the many warning signs that were provided to him. Similarly, our nation is barreling down on its own iceberg and like the Titanic’s crew, those we have entrusted to guide the American ship are negligently steering us towards a direct hit. 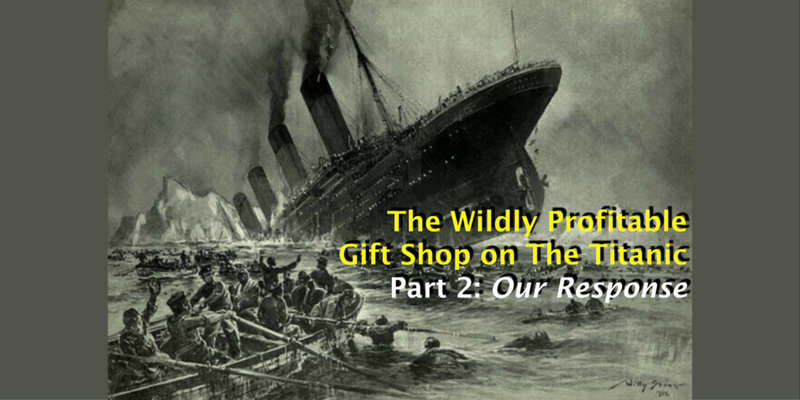 Just as the passengers on board the Titanic, all too many Americans are either oblivious, careless, or are in disbelief about the coming disaster. For those of us who see the catastrophic iceberg front and center, is there a way to avoid its destruction? And if not, what should we be doing to prepare our lifeboat for that coming reality? As a follower of Christ, I seek to approach life through the prism of the spiritual. I cannot separate what is going on in America and our world from God. So it’s through that paradigm that I seek solutions. But I realize that everyone does not share that same view. So my thoughts that follow will be broken into two categories: General & Spiritual. While this is not an exhaustive list of suggestions, it is provided in the hopes that it will spur you and I to take action to prepare for the potential that our “captains” will not or cannot take the corrective measures that are necessary. I believe our Federal Government is gone. It has grown so large, so corrupt, and so far beyond the scope of its duties as outlined in the Constitution, that it is lost, but for a miracle from God Himself. The potential that the Courts, Congress, the President and the multitude of behemoth federal agencies can be reformed is irreconcilable with reality. So we must turn our attention closer to home, to our state and local governments, our families, neighbors, friends and local alliances and groups. At the end of the day, this is where we will find the relationships that will sustain us and our communities and will be what we will look to, as the federal beast either dies in one calamitous event, or it simply become unable to meet the strain and stress of the mounting obligations it has created for itself. State & Local: Our local officials are still accessible, unlike our Federal “representatives.” We can drive to the state capitol and sit down with them. We can interact with them when they are in our communities. We can attend a local county commission or city council meeting. We can rally our networks to support initiatives that are good or oppose legislation that is harmful. And because we can still do this, we can still have a voice in our government. If you have not engaged in this manner, I strongly encourage you to do so. We’ve all heard the age-old adage: “All that is necessary for evil to triumph is for good men to do nothing.” For too long, good men have done little in Washington and so we have lost our country at the federal level. But we can still affect our local reality. So be one of the good guys, step forward, engage, and make a difference, while you still can. 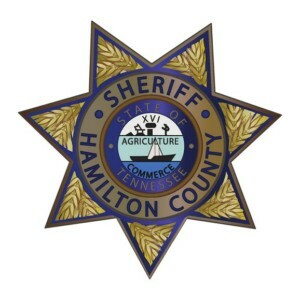 Meet your Sheriff: If there is one position in your local elected government that is likely the most important of all, it is your County Sheriff. Many have argued that the power of the sheriff within the boundaries of his jurisdiction is greater than that of the President of the United States. That may come as a surprise to many, and some will certainly dispute it, but there is no doubt that your sheriff has immense power, for good or bad. So it is crucial that you get to know him, influence him, and support him when he upholds the Constitution and Liberty, which he has sworn to protect. Likewise, you should correct him when he veers off course. The federal government is already tilting to the side of tyranny and as it continues in that direction, the role each county sheriff will play in protecting the unalienable rights and liberties of his constituents will be crucial. But the time to prepare for that day is not later, but now. 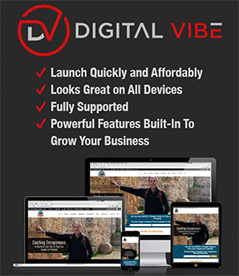 Local Groups: Engage in local groups and organizations that share your values. Become an active participant. 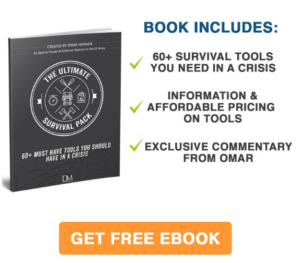 Whether it’s a local liberty group, political group, religious organization, farm group, prepper group, or some other civic organization, it’s critical that you establish networks with those you trust and value. The time to develop relationships is before the stuff hits the fan. Afterwards it will be too late. 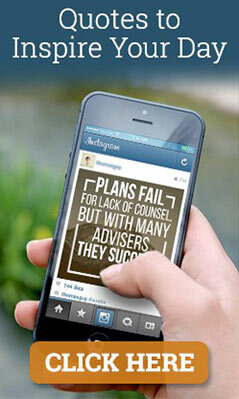 Educate & Inform: With the power of the internet, the world is at your fingertips. The ability to get unfiltered information from sources other than the biased Main Stream Media (MSM) has never been better. But your education is up to you. Turn off the tube and set aside some time each week to become informed on topics of interest to you. And then begin to share that information with others in a collaborative manner. Prepping: While some view the concept of prepping as a tin-hat mentality, truthfully, we all prep to one degree or another. If you doubt me, just wait until the next time a snow storm is forecasted in my home state of TN, or a hurricane or some other severe weather is predicted in your state. Notice how quickly the food shelves are left bare at the local grocery store. But there are smart and foolish ways to prep. I would strongly encourage you to go to my friends at Patriot Post to access their Disaster Preparedness Page for an extensive list of guides and resources. Not prepping for some kind of emergency is, in my view, foolish given the threatening clouds that we can all see all around us. Personal Health: It’s really sad but our personal health seems to mirror our nation’s health. We have a nation that is sick financially, politically, morally, and spiritually and I don’t believe it’s any coincidence that the same applies to many of our citizens. But you can defy the norm. There are multiple opportunities and programs you can work with to improve your health, including a company I am affiliated with, Hope 80/20. If things go south in our nation, those who are healthy will be in a much better position to weather the uncertainties we could be facing. Because I believe that all of life’s significant struggles can ultimately be traced back to a spiritual cause, I believe we must actually start with the underlying spiritual flaws we see in ourselves, our communities and our nation. So again, while this is not an exhaustive list, it is one that I believe includes some of the critical issues we must address as Christians in our nation. Local Church: Become actively engaged in your local church. Seek out those within your church who, like you, believe that there is serious trouble ahead for our nation in general, and Christians specifically. As religious liberty is under attack at an ever increasing rate, it is critical that followers of Christ not be surprised. Rather, we should fully expect this since Jesus foretold that these times would come. Meet with your pastor to engage him in dialogue about your thoughts and concerns. Determine whether he shares your concerns and if so, encourage him to devote some future messages to the “last days” and what that means for members of the church. 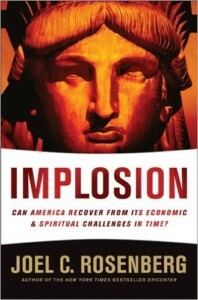 Read this book: Implosion: Can America Recover from Its Economic & Spiritual Challenges in Time? by Joel Rosenberg. Joel, a NY Times Best Selling author, has written a masterpiece about the threats our nation faces, the potential repercussions that we may face if we do hit the “iceberg” and what Christians should be doing in the event the worst happens. Develop Plans: Enlist others, who share a similar biblical worldview, to join with you in developing plans for mutual caring and collaboration should the worst occur. 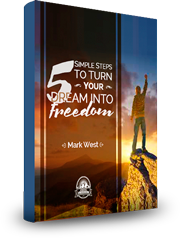 The plans should not only include our families and friends, but should also take into account the potential that many of your neighbors might be caught without their own lifeboat, physically and spiritually. There is never a better time to share the love of God than in a person’s time of crisis. God’s Word: Spend more and more time in God’s Word. We know that the Bible has the answers for life. There are dozens of examples in scripture of believers who faced insurmountable odds, and life threatening circumstances. Yet, with God’s strength they stood and persevered. While such biblical scenarios are incomprehensible to us, as we enjoy the relative peace and security we have come to expect, the world can turn upside down in an instant. Studying God’s Word will not prevent catastrophic events, but it can prepare us if those events occur. As I close, it’s possible that you might be thinking I’ve gone over the edge and lost my mind. Who in their right mind would believe that America, the most powerful nation in the world, could ever lose such status? 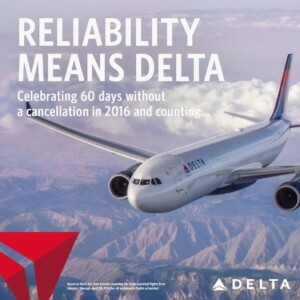 Yet, just this week, we saw Delta Airlines, one of the world’s largest carriers, be brought to its knees, as a simple power failure in Atlanta grounded hundreds of flights for multiple days. While lives were not lost, the completely unexpected occurred and the lives of millions were significantly impacted. Now, let your mind wander, for just a moment, to the vast number of other potential destructive scenarios that could occur, and one can realistically see how that iceberg could in fact be staring us down. So I close this 2 part series in the same way I opened it, and I trust you will begin to take the necessary precautions that you deem appropriate. 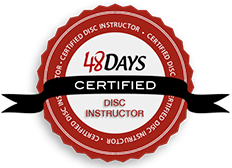 If I can help in any way, whether individually or in your group or organization, please don’t hesitate to contact me. You are spot on. The Lord woke me at 3 am this morning. I obeyed not because I’m so spiritual that I always obey, but because He started speaking to me and I couldn’t go back to sleep. I spent an hour in the awareness of His presence and He assured me that what was coming on America was for its good. The tribulation coming to America is not going to be joyous or comfortable but needful. It will cause spiritual revival and awakening in the Church to prepare us as a Bride ready for her Groom. Many will realize that only Jesus has the Words of Life and be added as well. He reminded me of the “shaking” that He told me was coming a little over a year ago. To shake all that can be shaken so that which can’t be shaken will remain. The Lord is God and there is none other. He uses anyone He pleases to glorify His Name and none can successfully oppose Him. The blatant evil we see going on around us, He controls. That’s why its succeeding. So your alarm to be prepared is spot on. But most of all to turn to God now. Many rely on the protection of the 2nd Amendment to protect us but God is going to allow that false sense of security to be taken away as well. He will bring us into total dependence on Him just as He did the Israelites whom are our examples. It got so bad on them that they were eating their own children before they cried out to the Lord to rescue them. I pray it doesn’t come to that, but it could, even in America. Tribulation is not a bad thing. But is needful to humble us. Then when we’re humbled, He can lift us up. Those of us that are His, need not fear, He’ll be with us every step of the way.